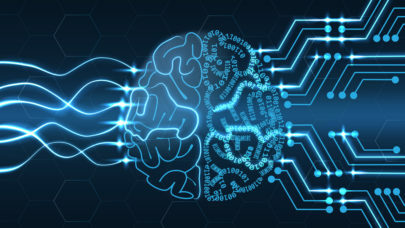 April 12, 2019 — Brown Dog, a prototype Data Transformation Service (DTS) developed at the National Center for Supercomputing Applications (NCSA) with support from the National Science Foundation (NSF) is partnering with Box to bring intelligence framework capabilities to users’ content by leveraging its recently introduced Box Skills. With the release of one of our transformations as a preliminary Box Skill, Box users and scientists will soon be able to find images of similar galaxies based on a query galaxy image. Box Skills are not automatically enabled for all Box instances and the Galaxy Skill will have a limited initial rollout. The University of Illinois is planning to enable and configure the Galaxy Skill on the Campus instance. Other Universities or businesses who want to use this Skill will need to create their own Skill application. Anyone interested in having this Box Skill on their enterprise can reach out to the NCSA Brown Dog team at [email protected] for assistance in creating an instance of the Galaxy Skill which can be authorized on their instance of Box. The future goal for the next version of this skill is for users to be able to apply this same model to any set of images – plants, faces, galaxies, etc.- to quickly find similar images throughout a database. If you want to develop a Box Skill yourself, you can do so by building with the Box Skills Kit, a developer toolkit that makes it easy to create and configure Box Skills. Using the Box Skills Kit, you can apply the AI/ML technology of your choice to enhance data in Box. You can use any applicable third-party AI/ML service or your own internally-built AI/ML service. You can learn more about the Box Skills by visiting box.com/skills.